Northern Forest Canoe Trail: The Official Guidebook, by The Northern Forest Canoe Trail, Inc., 2010. 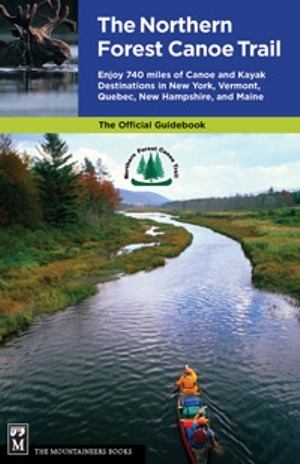 The first guidebook to this 740-mile waterway route across New York, Vermont, Quebec, New Hampshire and Maine. Compiled by a team of seven paddlers/writers, it provides detailed descriptions for each of the 13 sections of the NFCT. Also includes a "Through Paddler's Guide" section for planning long-distance trips. Illustrated with many black & white photos plus an insert of color photos. 304 pp, 5 1/2" x 8 1/2."